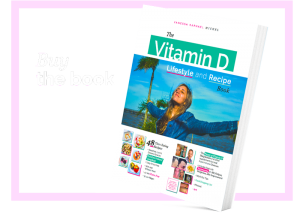 About – Vitamin D Lifestyle – I haven't come this far, to only come this far! Let me share with you a little bit about me, this page and what I do. After struggeling with extreme fatigue, lesions and more undiagnosable symptoms for several years I started on the Coimbra Protocol in April 2017 and slowly embarked on a journey to recovery. Still isolated in real life I met many new people online, started vloging, a Facebook group and virtual meet ups, all while still having limited energy. If you are in the Vitamin D Lifestyle Facebook group and interested in connecting with me (and others) when I share webinars, workshops or even live video meetups via Zoom and other news concerning the lifestyle outside dealing with an auto immune disease then sign up below. The word disease has the components of dis-ease. My approach is not just about physical health and healing. I can’t replace your Protocol Doctor. My mission is to focus on the other things in life that make our brains develop, make new braincells and even new patterns. Our brain is the physical manifestation of our mind, soul and emotions. Being attacked in my brain with several lesions and also anxiety as a cause, I believe that focusing on what brings our brains into wholeness again, based on scientific research, is super important. Dr. Coimbra also says that keeping a stress-free-lifestyle is super important. However all I do is still work in progress and I have to move slowly at times. Therefore I recommend you to sign up below and I will keep you up to date via email about our virtual meet ups, the book and more. Thank you and may you too be in good health again soon.